Our ‘Weekend Preview’ features the conclusion (or potentially penultimate) weekend of indoor hockey for our Men’s teams and Ladies 2nd XI, as well as our outdoor teams slowly coming back to action. Clydesdale Men’s 1s will be hopeful of results going there way on Saturday at Bell’s Sports Centre as the Men’s National Indoor Division One season draws to a close. The M1s are still in the hunt to reach the Semi Finals of the Grand Indoor Play-Offs on Saturday 2nd February but admittedly require an ambitious set of results to go their way. The boys begin the day by playing Play-Off favourites, Grove Menzieshill 1s from 9.00am at Bell’s in their final crossover group match. The ‘Dale would need to beat Menzieshill coupled with a Kelburne win over Grange immediately after. Clydesdale’s earlier meeting against Menzieshill during the MNIL 1 season ended in a 5-0 defeat back in mid-December. If results don’t go Clydesdale’s way, then they will enter the 5th/6th play off match, and like the Semi Finals, the match will also take place later in the day (pushback time TBC). Their potential opponents for the Semi Final or 5th/6th game could either be Western Wildcats, Dundee Wanderers or Inverleith. Clydesdale Men’s 2s know three wins and a 27 goal swing in their favour will seal top spot in the last weekend of Men’s Regional Indoor Division One at Forthbank on Saturday. Currently, Glasgow University are top but have completed all their games – 28 points from a possible 33, whilst racking up 99 goals to give them a plus 63 goal difference. The only side that can stop GU winning the league and qualifying for a Promotion Play-Off place is the M2s. The M2s have their last three games on Saturday against Western Wildcats 2s (11.05am), Grange 2s (12.55pm) and Hillhead 2s (5.30pm) respectively. Only three wins will take Alex Ingram’s side to top spot as they will move level on points with Glasgow Uni but would then require a further 27 goals in their favour to knock the student side off top spot. A huge task at hand, but the M2s will give it as best a go as they can when they arrive at Forthbank. Clydesdale Western 2s fate – like the Men’s 1st XI – is also out of their hands in their final crossover group in Women’s National Indoor Division Two at DISC on Sunday. The L2s will know before the start of their 9.55am pushback against Kelburne whether they can still qualify for a Promotion Play-Off Semi Final spot later in the day. Their hopes rest on whether Inverleith can take a minimum point against Granite City Wanderers. If they do, then the door is open for the L2s to take second spot in their crossover group if they can beat Kelburne to then set up a Semi Final Play-Off match against Western Wildcats 1s. If not, then the L2s will drop into the 5th/6th contest where they will either play Dundee Wanderers 2s, Bon Accord 1s or Grove Menzieshill 2s. ‘Dale Western 2s can not promote from WNIL 2, however, as the league they are in is as high as they are allowed to play in. The weekend’s outdoor games sees the return of the L4s, whilst the L5s have a double header in both league and plate. The L4s are at home to high flying Rottenrow 1s in Women’s West District Division One from 3.30pm. Their opponents are top of the league having won all of their eleven games. The L4s are fourth with 14 points, but have quite a few games in hand and will be keen to push higher up in the league standings come the end of the season. The game before the L4s at Titwood sees the L6s host Arran 1s from 2.00pm in Women’s West District Division Three. The young L6s side, led by Rachel Brewer, are looking to stop a run of six straight defeats in the league. 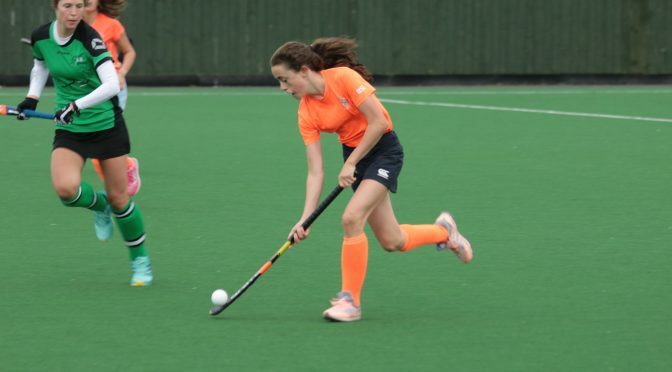 The L5s will also be looking to bounce back from their disappointing loss to Kelburne 3s last Sunday in Women’s West District Division Two when they play away to East Kilbride 1s, 2.00pm PB. The L5s are one of six teams that are in the hunt for promotion to Division One. Trish Lonergan’s side are in sixth place, two points off a promotion spot. After Saturday’s league match, the L5s focus will turn immediately to the Women’s West District Plate Quarter Final where they will play at home from 2.00pm on Sunday against Kelburne 3s. The M5s are away on Saturday in Men’s West District Division Three, where they take on league leaders, Anchor 1s from 2.00pm.